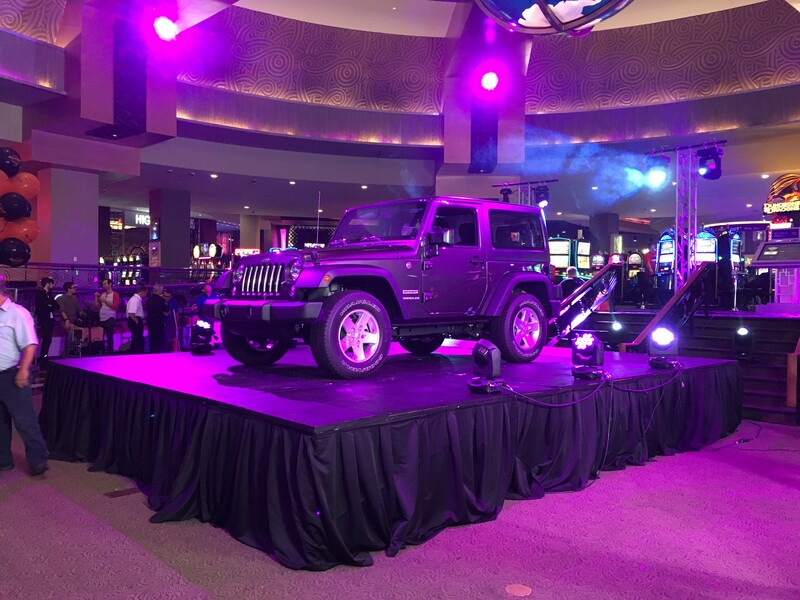 Hard Rock Jeep Car Giveaway | Performance Stage, Inc. When the folks over at Signal Factory contacted us asking for a stage to put a car on we knew just the solution. 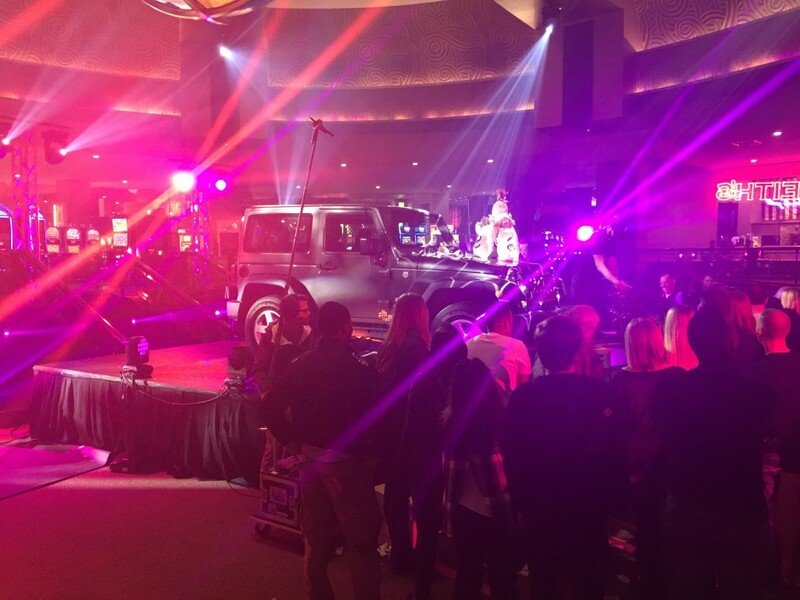 Built out of Bil-Jax brand steel stage decks and decked with 3/4″ plywood the stage provided for this commercial shoot fit the bill perfectly. We built the stage to put a Jeep Wrangler on top of, but we likely could have drove a bulldozer up there by the time we finished reinforcing the stage deck. 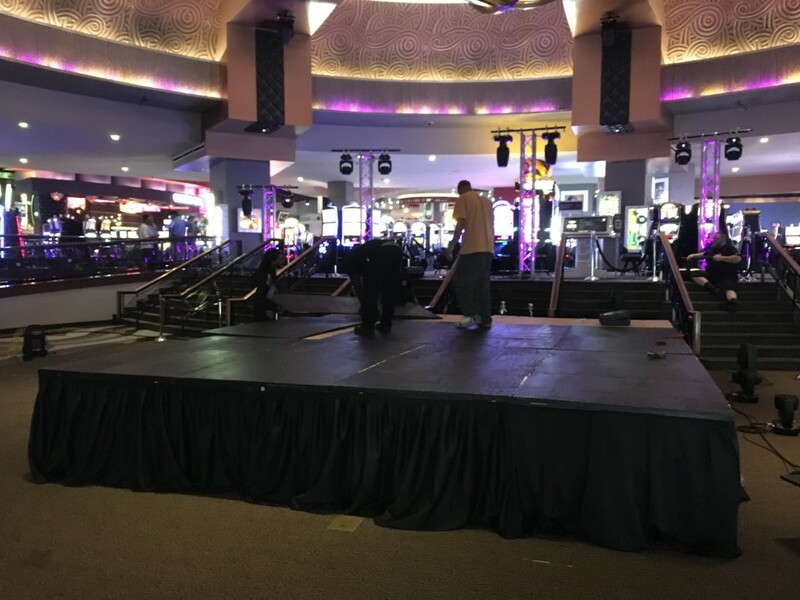 Special thanks to the team at Signal Factory for working with us on this project and of course to The Hard Rock Casino for allowing us to set this up in their lobby.